The University is open Friday 3 December, with exception of School of Pharmacy. 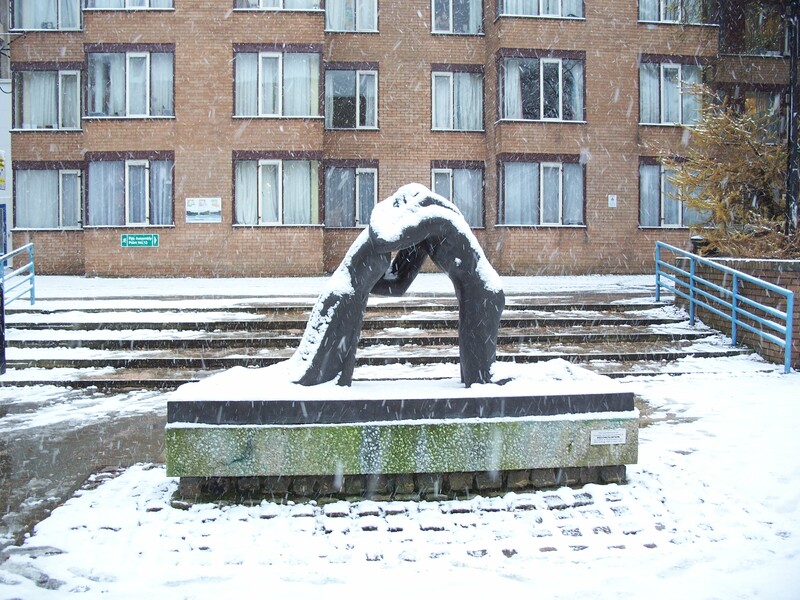 Please see the University snow update page for latest updates or follow the University’s twitter account @BradfordUni. PS 6 December – it looks as though the worst is over, and the University will be open as normal, but do keep an eye on the resources mentioned above. 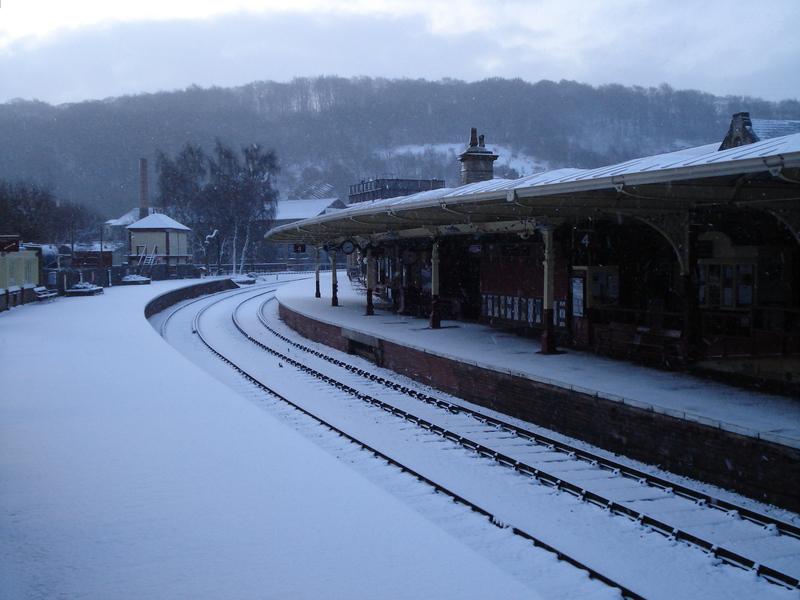 Thanks to masses of snow and resulting road and rail problems, the University of Bradford is closed Wednesday 1 December and Thursday 2 December 2010. Hoping to open Friday. 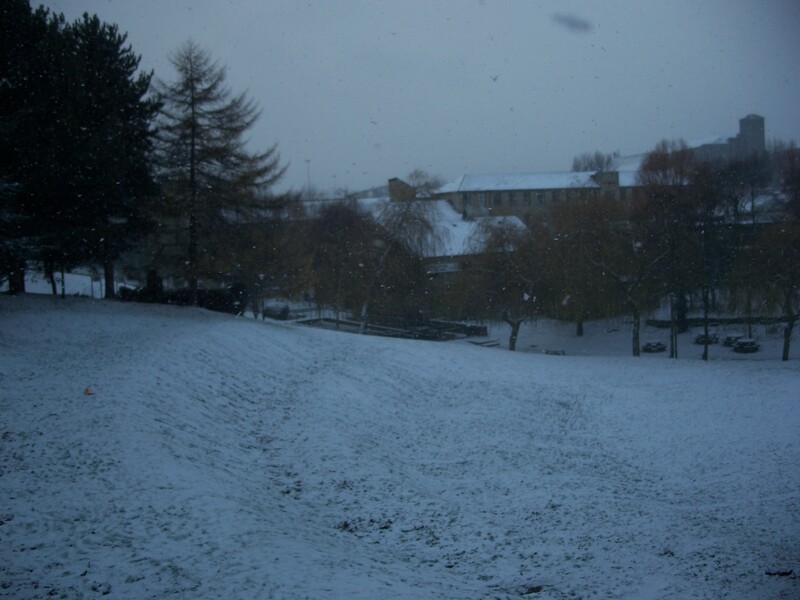 Please see the University snow update page for latest updates or follow the University’s twitter account @BradfordUni. Happy New Year from the Special Collections staff! Following on from our Christmas post, we are still under snow. In his 1927 essay, “First Snow”, J.B. Priestley expressed his delight in the magical transformation that new snow gives to the landscape, but concluded that he would not like English winters to be more snowy, as “we would be sick of it in a week” – he wrote that it is the change in our surroundings and not the snow itself that is wonderful. While not yet sick of our snow, which is still a magic blanket, we find the ice is becoming tiresome now. Fortunately, Special Collections staff have generally been able to get in to work! Posted in Other news, Priestley, J.B.
Special Collections will be closed over the Christmas period from 24 December 2009 – 4 January 2010 inclusive. If you need to contact us, please email special-collections@bradford.ac.uk and we will get back to you on our return. 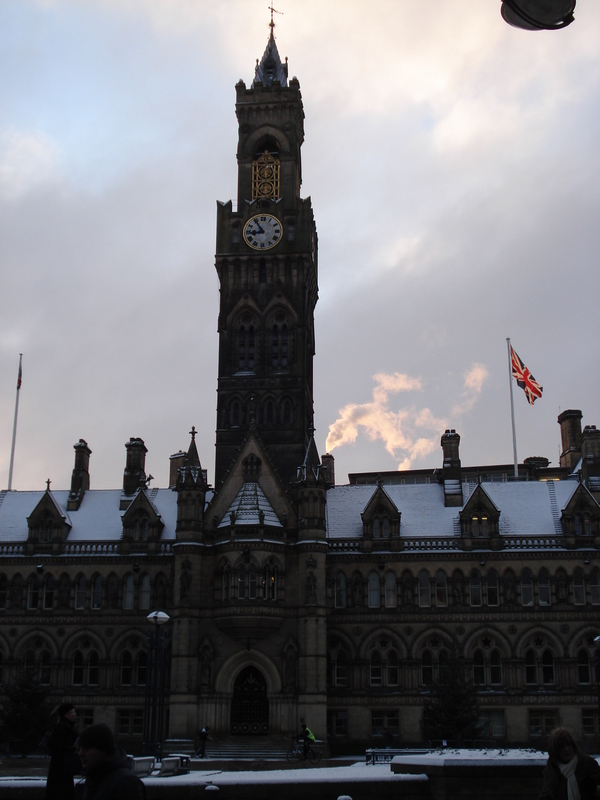 Here are some images of the snowy, festive scenes around campus and Bradford, taken by John Brooker. I hope all our readers and friends have a lovely Christmas and all you could hope in 2010. See you next year!